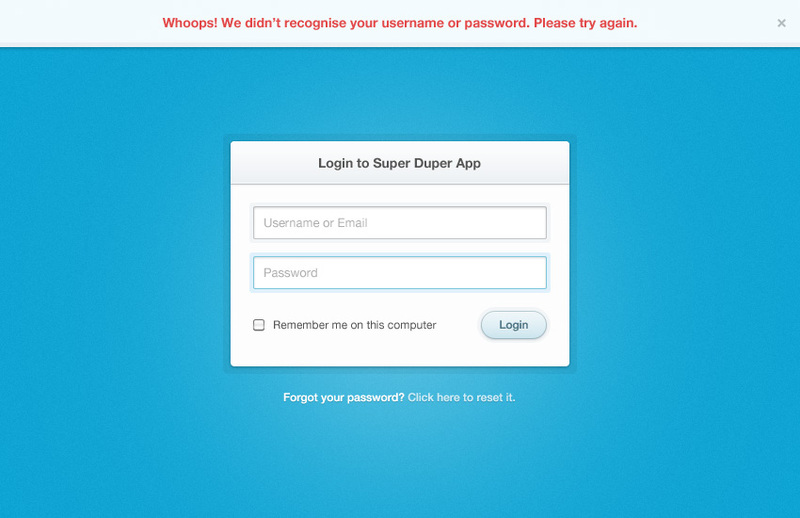 Today’s freebie is a clean and simple login form perfect for a multitude of sites. If you’re working on a super duper app or site design, then this may be of some use. Straightforward and simple, exactly what this type of form should be. The design incorporates everything you would expect from a modern login form with a slight twist of the verification notice appearing at the top of the screen. Fancy. Absolutely, sounds like a solid plan for form validation. transparent borders around the boxes are beautiful. This would look cool as a wordpress login. Great work! I really love those thick, subtle borders around the inputs. I like how they change when they’re activated too. Good shtuff Orman. Good shtuff. very nice design. i love it!